You now have the option of defining a mobile-device profile for each of your web checks. 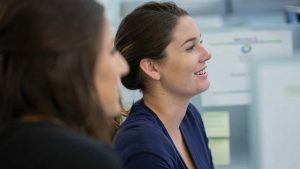 This means that your web checks can now emulate the behavior of any of the most popular mobile devices in use today. With our new simplified web-check creation and edit workflow you’ll find the mobile-device emulation option on the Create a new web check page. 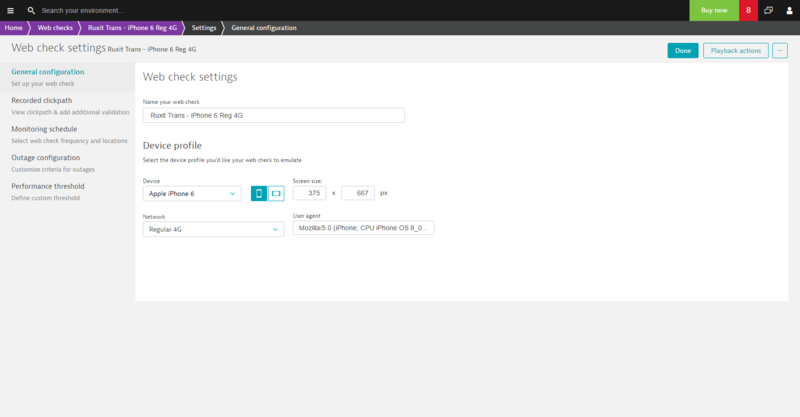 To get started, select a device type from the Device menu. 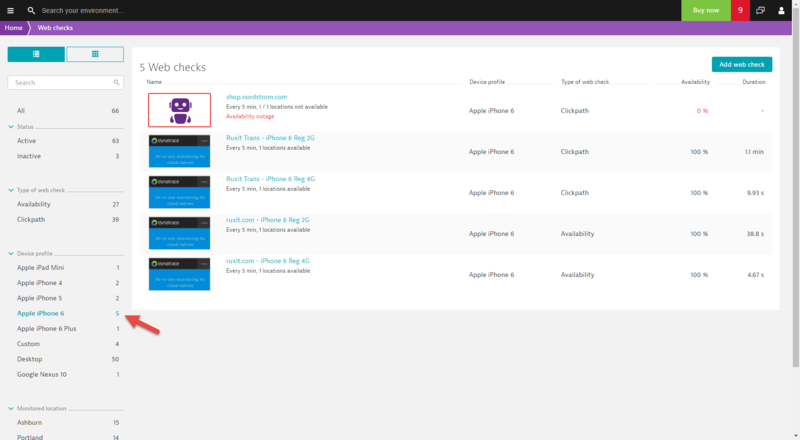 You’ll find a variety of pre-configured mobile-device profiles listed here. Begin typing the name of the device type you’re looking to emulate to see the matching options in the list. 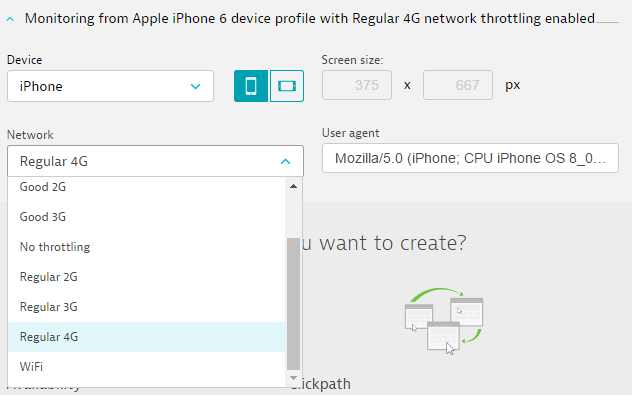 Once you select a Device profile, the orientation, Screen size, Network, and User agent fields are populated automatically. To make the mobile experience of your web check as realistic as possible, you have the option of throttling the Network bandwidth of your web check to simulate that of a real mobile network. Bandwidth is throttled both during local playback and during actual web check runs that you execute across our global locations. If a device type you want to emulate isn’t included in the list, you can enter your own custom settings. 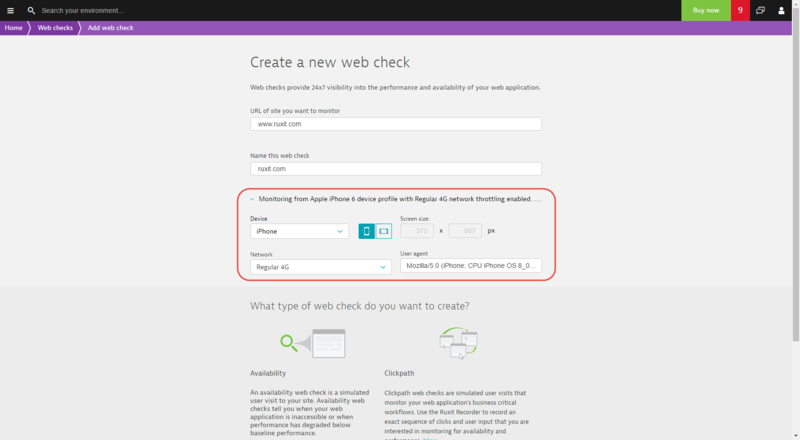 After defining the device profile for your web check, continue setting up your web check as explained in How do I set up an availability web check? 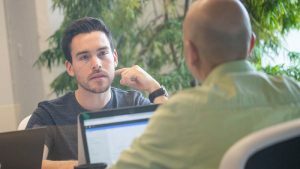 and How do I record a clickpath web check? You’ll have no trouble keeping track of your emulated devices—the Web checks page includes Device profile filters in the left-hand pane. The Top findings section of each web check details page now includes location detail so you can understand at a glance where your fastest and slowest web check runs originate. 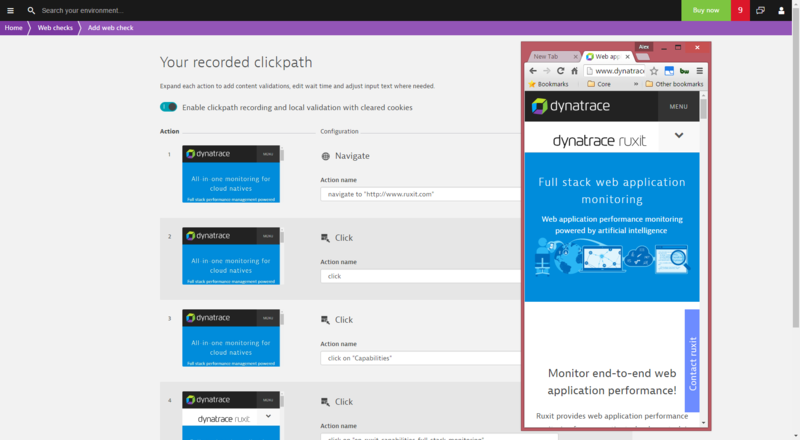 The new Clickpath actions section lists each of the recorded actions included in your clickpath web checks. 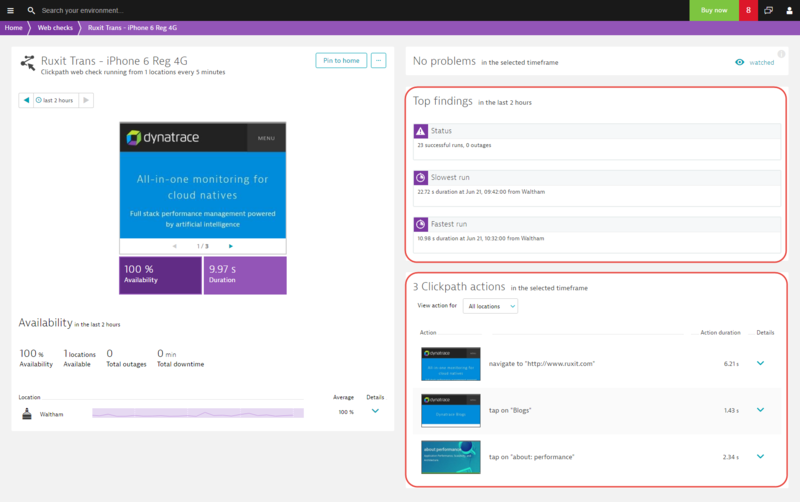 Open the Dynatrace menu and select Availability & SLA. Select the web check you want to edit. Click the Browse (…) button and select Edit web check. 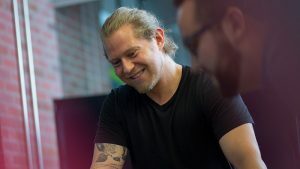 Alex is a product manager at ruxit. He is the expert in monitoring web applications with a special focus on real user monitoring and synthetic monitoring.